For design that makes a difference, meet Slinky Did It: a graphic designer specialising in socially conscious projects across the public and private sectors. Hello! I’m Sarah Linklater, a.k.a. 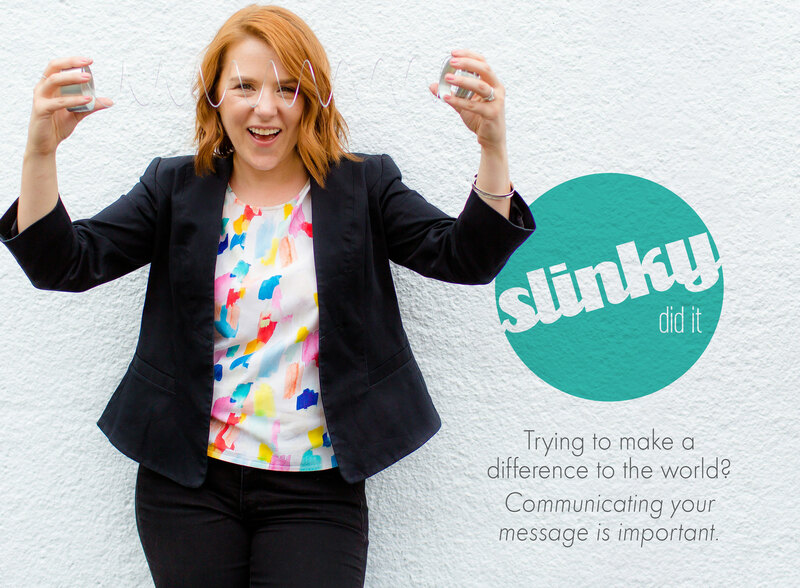 Slinky, a Melbourne based graphic designer with a passion for branding and graphic design for organisations who are making a difference. I believe design is a collaborative process. Together we’ll explore all the ideas, innovations and quirks that make your organisation unique. Then, I’ll turn these nuggets of knowledge into contemporary designs that clearly communicate your goals. …organisations across both the public and private sector that have something positive to contribute to the world. My existing clients include Universities, research centres, architecture firms, government agencies and those in the corporate sector who act as agents for change in the way people work and live. I believe design should be an extension of what already exists in your organisation, not something that overpowers or inhibits your messaging and objectives. I’m a collaborative designer who wants to help you look good, for the good of the world. So, come on, let’s take this journey together!